“Showering is difficult and sometimes dangerous for me. Lucinda isn’t just my homecare worker, she is my lifeguard.”—Ethel, homecare client. Since 1979, JFS of Metrowest has been helping elders in the community age with dignity and grace with innovative programs and services that reflect the needs of elders and their loved ones. JFS Elder Care Solutions incorporates an integrated, comprehensive approach to elder care. 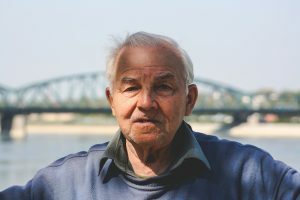 Our licensed social workers and registered nurses evaluate and implement a customized plan tailored to the unique needs of older adults, relying on community resources when applicable. Our care coordinators have experience dealing with a wide variety of older adult concerns, including cases involving memory loss, Alzheimer’s Disease and dementia. Our team addresses a spectrum of mental and physical health concerns, utilizing a variety of programs and services at our disposal as a non-profit organization to achieve comprehensive care in a dignified and supportive manner. Assistance through JFS Elder Care Solutions includes assessment, homecare referrals and recommendations in addition to coordination and integration of care, including tasks such as transportation and arrangement of medical visits and financial and legal referrals and assistance. As part of our mission, we believe every elder deserves quality, comprehensive care, regardless of financial means. Some long-term health care policies may cover part of the cost, but for those who still face the struggle of cost, special payment arrangements may be arranged with JFS on a case-by-case basis.